When we started our trip on October 1, Trevor still hadn't decided what he wanted to be for Halloween. This stressed me out, as he tends to choose things that are obscure or specific enough that they have to be homemade. (Exhibit A: the time Trevor dressed as a campfire). How would I have time to make a costume in only a few days after we returned home?! I tried encouraging him to re-wear a previous costume or do something simple based on things we already have, but he was not feeling it. As we made our way through Annapolis and then Dover and then Philadelphia and into Trenton, I was hoping Trevor would want to dress as something from history. Maybe our visits to all the American Revolution sites would inspire a Continental soldier costume? All we needed to do was find an appropriate wig/hat/etc. for sale in a gift shop somewhere, add a few accessories, and we'd be set. No. He was not interested in any of that. But the trip did end up inspiring his costume. 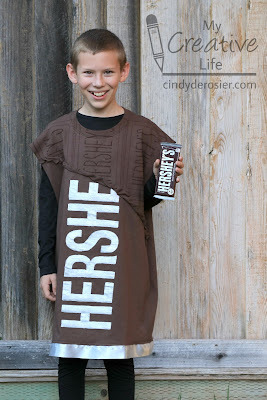 I haven't blogged about it yet, but we spent three nights in Hershey. It was there that Trevor announced he would be dressing like a chocolate bar for Halloween. During the rest of the trip, we drew sketches, brainstormed materials, and bounced ideas back and forth. As soon as we got home and we were no longer concerned that our house would burn down, we started making the costume. We're both so happy with how it looks and how quickly it came together. Want to make your own? It's actually really easy. I've included affiliate links in the supply list. Any purchases you make from those links will help support My Creative Life, at no extra cost to you. 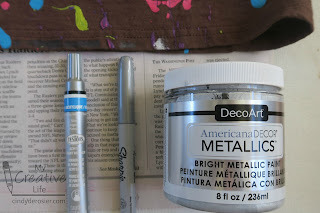 I started by testing three different silver options I had on hand (paint pen, Sharpie, and silver paint) on the hem of my splatter paint t-shirt. 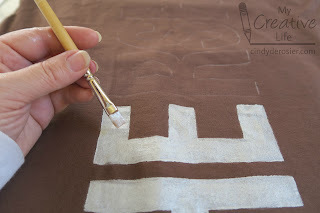 You don't need to do this step, because as you can see from the photo, the silver paint is the only one that shows up against the dark brown. Now find a brown t-shirt that is much too large. Trevor wears a child medium, so we used a men's medium for the costume. 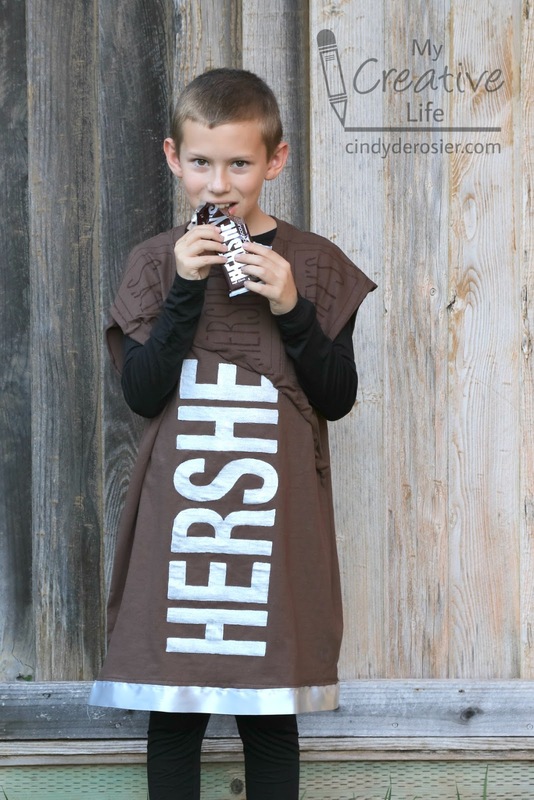 Open a Hershey bar to use as reference. Make sure you have plenty of back-up reference bars in case one disappears. 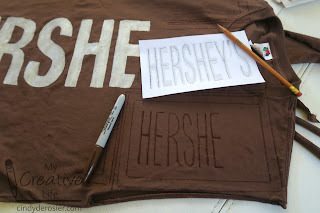 Use scrap paper to rough cut some letters to figure out how large you need the HERSHEY'S to be. (Acutally, all you care about is HERSHE because it's cut off there.) This will vary based on your t-shirt size. Now head to the computer. 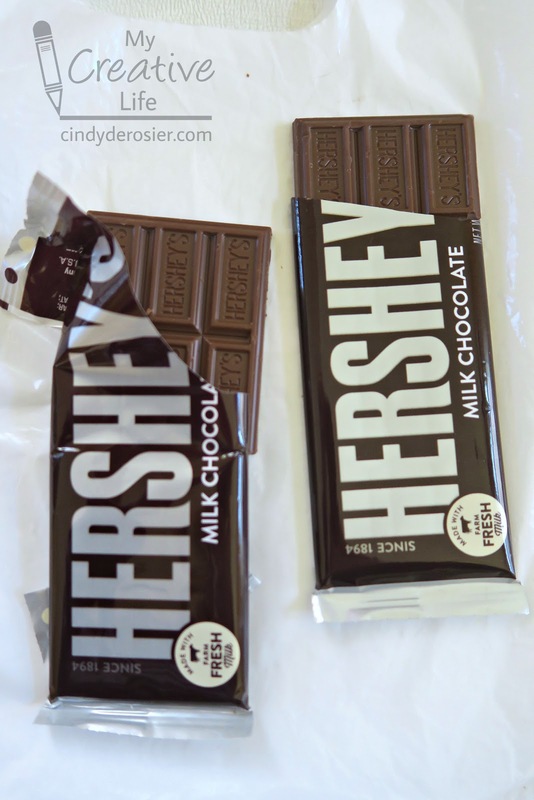 Helvetica Neue Bold is very similar to the Hershey's logo. Type in HERS (because you only have to do the H and the E once and you don't need the apostrophe or Y) and change the page to landscape. I sized the font to 590 and then reduced the spacing between the letters 66%, which fit the size I wanted (approximately 6" high and 4" wide). 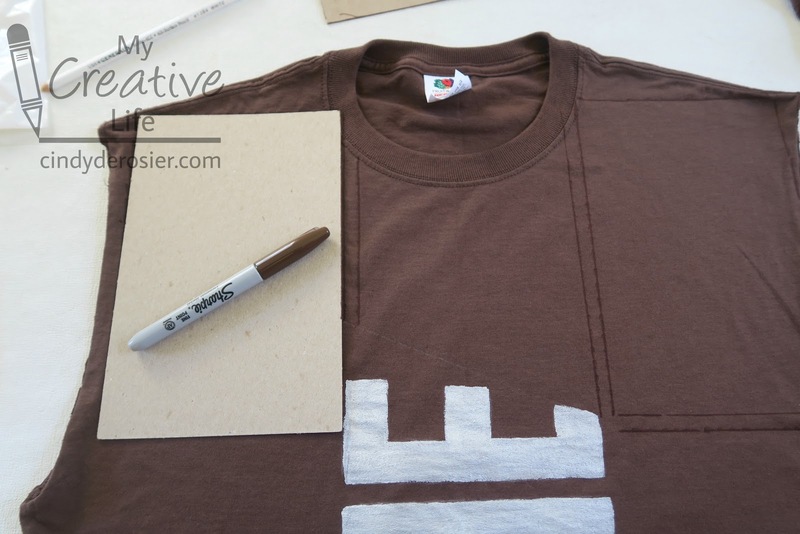 When you have the size you want, print, cut, and trace the letters onto the t-shirt using the Scribe-All. Now carefully paint in the letters. The DecoArt paint has excellent coverage and dries quickly, which is awesome. 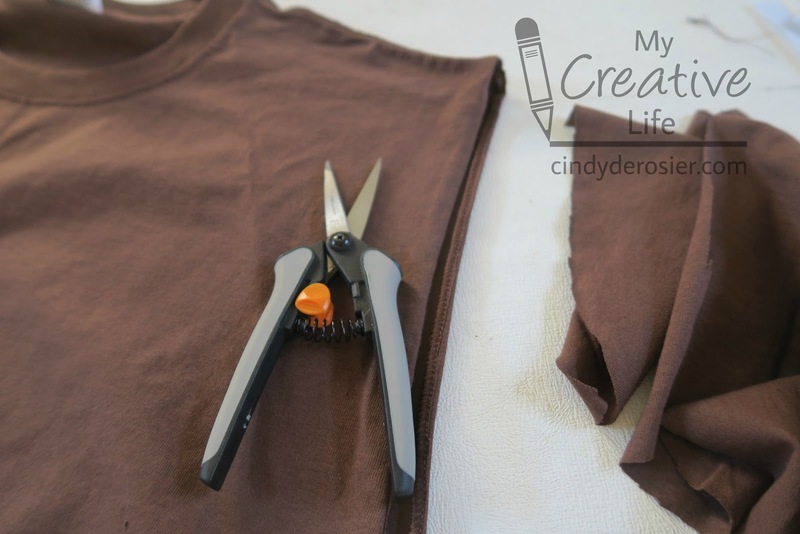 When the paint is dry, CAREFULLY cut off the sleeves, staying as close to the seam as possible while you cut. You want to leave the seam attached to the shirt, not to the part you cut off. It will roll inward and look surprisingly finished without any need for hemming. Save the sleeves- you'll need them. Now, it's time for your reference bar. If it isn't open yet, I'm not sure this is the right costume for you. If it's gone missing, open another one. Heck, open two. In fact, Trevor and I HAD to open multiple Hershey bars for the sake of research. We needed to know whether the writing on the bar itself goes the same direction as the writing on the package or the opposite direction. Fun fact - it's apparently random which way the bar is sitting in the wrapper! But don't believe me. Open some bars and test it yourself. Use the Scribe-All and a piece of chipboard to draw the diagonal line on the t-shirt where your Hershey bar will be opened. 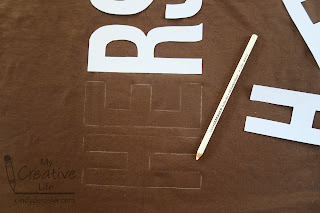 For us, that was right through the E. Now cut the chipboard into a rectangle (size will once again depend on the size of your t-shirt) and use it to trace three pips. Cut a slightly smaller rectangle and trace just inside each pip, forming the double border. 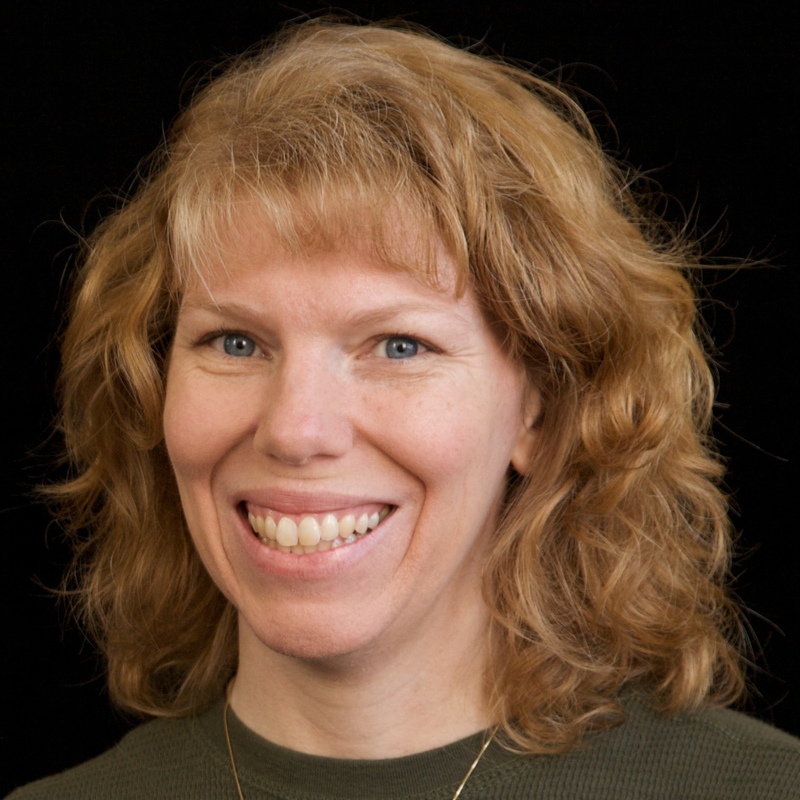 What's a pip, you ask? Now it's time to write HERSHEY'S on each pip. 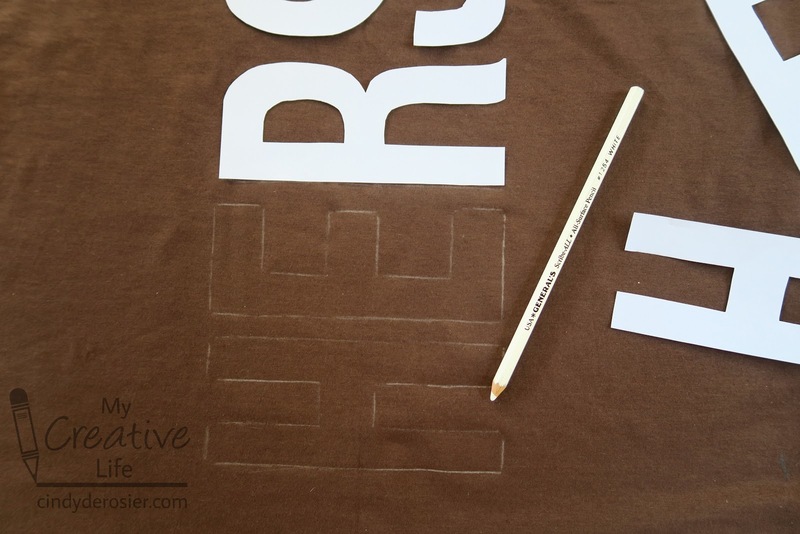 The easiest way to do this is to print a template (Helvetica Neue Bold 330, 33%), place it on the shirt, and then use a pencil to trace over the letters. Press hard and the indentations will be visible. Trace over those with the Sharpie. Now add the piece that creates the border between the wrapper and the chocolate bar. 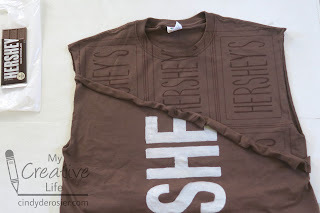 To do this, I opened up the sleeves and cut one long, thin piece from each. I bunched it up along the white line I'd drawn earlier, then used hot glue to keep it in place. If you have silver fabric or a thicker silver ribbon, you can use that to mimic the foil wrapper that Hershey bars used to have. I didn't have either one on hand, so I repurposed the sleeves. Trevor and I like the way it looks, but silver would be more striking. 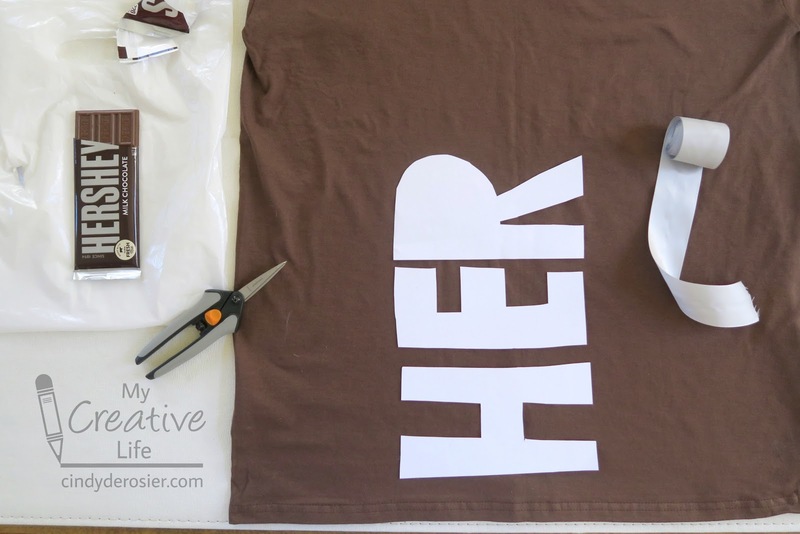 The final step is to glue (or sew) ribbon to the bottom of the t-shirt. Check your reference bar. Even though the wrapper is now plastic, it still has the look of foil on the ends. Wear your costume over black sweats or thermals and you're all set for Halloween! And yes, you can eat the reference bar now. Steve wondered if that was cannibalism (or candybalism, as we heard it called while at Hershey's Chocolate World), but I don't think it is. 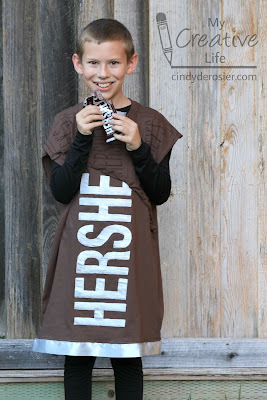 More Hershey-related posts to come! This is just so super cute!! That looks AWESOME!!! What a great costume!!!!!!!!!!!!!!!! Sorry but that is not EASY...but it is super cute and authentic looking!